This is a lovely card for Grandma on Mother's Day. 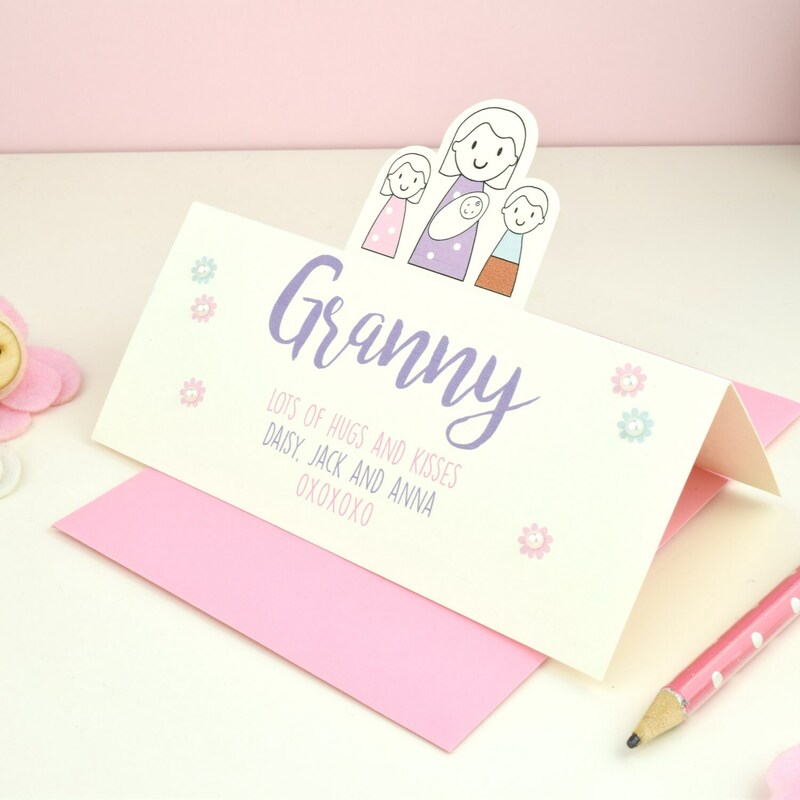 Each card is beautifully printed with a sweet original drawing of Grandma and her grandchildren and is hand finished with pearl details. A very special card for you grandma to treasure. To personalise the card you choose the number of grandchildren to be added with Mum. 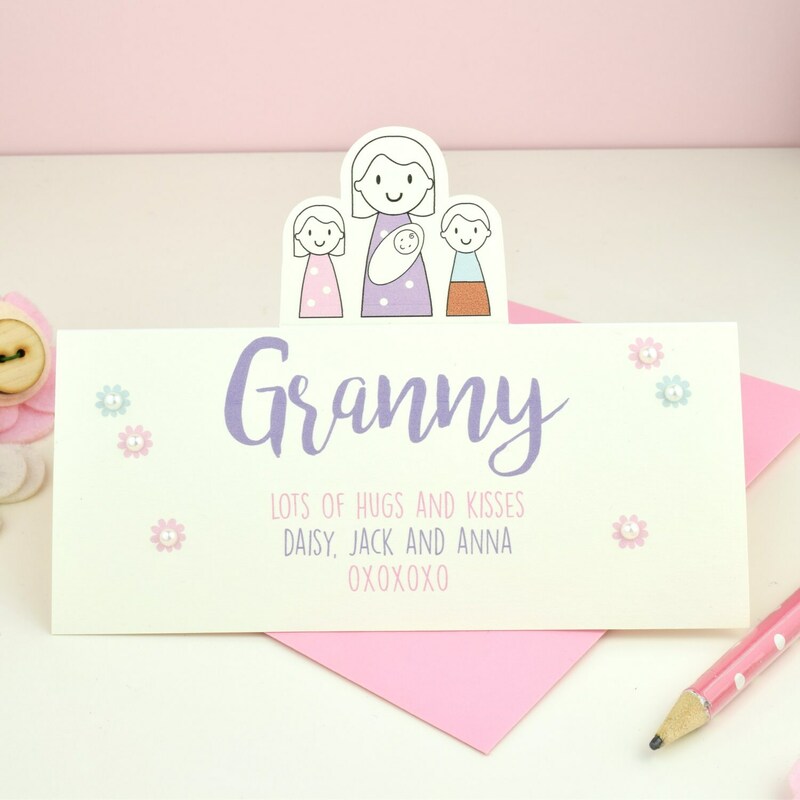 You can choose from girl, boy or baby figures and the message below reads "Grandma lots of hugs and kisses" and the the grandchildren's names. The message can be personalised with grandma's chosen title eg "gran, grandma, nan"
Great customer service. Lovely card, thank you. Would recommend & purchase from here again.